Should You Buy A BMW i3? With so many new and exciting electric cars on the market these days, you are spoilt for choice when it comes to choosing your next one. Some people might even be considering the leap from a petrol or diesel car to electric car technology! One rising star in the electric car world is, without a doubt, the BMW i3. The motoring press have fallen in love with this car, and so too have thousands of consumers. If you are thinking of buying an electric car, should you consider the BMW i3? In today’s review, I go through the pros and cons of owning one. There are two variants of the BMW i3 that you can buy: the all-electric model and the range-extender variant. The all-electric model features an electric motor capable of delivering 123 brake horsepower. It offers a range of 99 to 118 miles on a full charge. Of course, BMW understands that some consumers want an eco-friendly car that can go the distance. With the range-extender variant, the range gets increased to around 200 miles. You might think that such a range is quite poor. But you need to bear in mind that the engine used in the range extender is a 647cc petrol one used in the BMW C650 GT motorcycle. But what about performance, I hear you ask. The BMW i3 can get you from zero to 60 mph in just 7.9 seconds. You can thank BMW’s use of lightweight materials for that! You might be thinking that a lightweight car might not be safe on the road. How wrong you are! The BMW i3 has a rating of four out of five stars by Euro NCAP and does an excellent job of keeping adult and child occupants safe in accidents. BMW cars are well-known for being some of the safest vehicles on the road today, and the i3 isn’t an exception. Some car makers compromise on safety, but BMW isn’t one of them, I’m pleased to say. As with all modern BMWs, the i3 has a plethora of technology and gadgets to please geeks and technophobes alike. According to Motorline Direct, it makes use of the ConnectedDrive technology. Some features you can enjoy include DAB digital radio and Bluetooth handsfree connectivity. The BMW i3 also comes with an infotainment system that’s linked to the electric charging system. The intuitive system will tell you how many miles you’ve got left, and what state of charge the batteries are in. Electric cars provide a practical alternative to petrol and diesel alternatives. They offer low to zero carbon emissions, and so are good for the environment. The infrastructure for electric cars is on the rise. BMW can even offer you the option to have a fast charging system installed at your home. Instead of waiting 7+ hours for an 80% charge, you only have to wait half an hour! 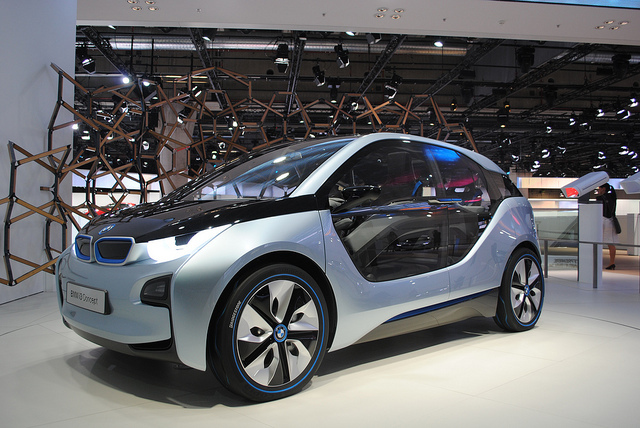 What are your thoughts on the BMW i3? Do let us know in the comments section below!